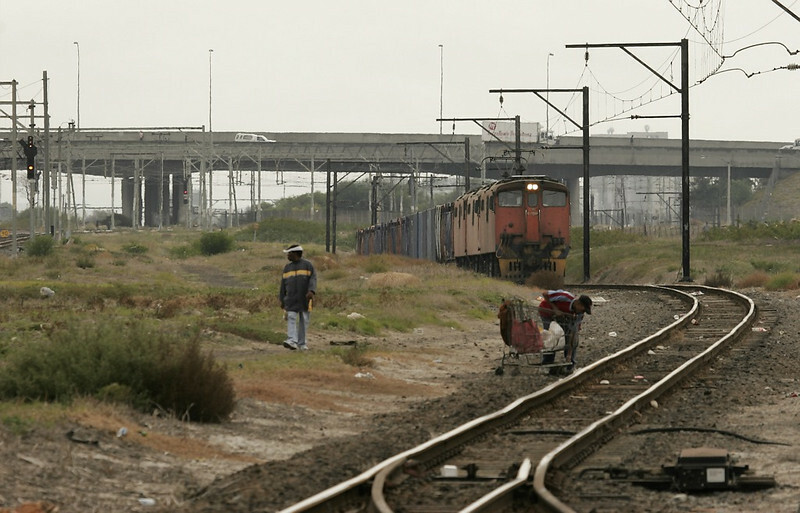 Half a day of very different railfanning on one of the main traffic arteries in the Cape Town area. Pedestrians have taken to crossing the tracks as a shortcut. This guy is trying to lift a shopping cart with his belongings across the track as a tripleheaded set of electrics emerge from the freight underpass. The derail in the foreground is lined against the movement so the train will have to stop here.